Activists in Germany and the UK organised actions during public military days in their countries. In many Western countries, militaries recruit on a voluntary basis. This requires those militaries to pay more attention than ever to their 'public relations' (PR), to reach out to as many young people as possible and convince them to join their ranks. 'National days', or similar public days linked with the military, have been an effective component of this strategy. Last month, two examples of this occurred in two European countries: Germany and the UK. On 9th June, Bundeswehr (the German Armed Forces) organised its annual German Armed Forces Day (Tag der Bundeswehr), which has been organised since 2015. During the day, Bundeswehr opened its barracks and offices for the public in 16 cities across Germany. With Tag der Bundeswehr, the German military aims to attract young people into their ranks and present itself as a rewarding employer. 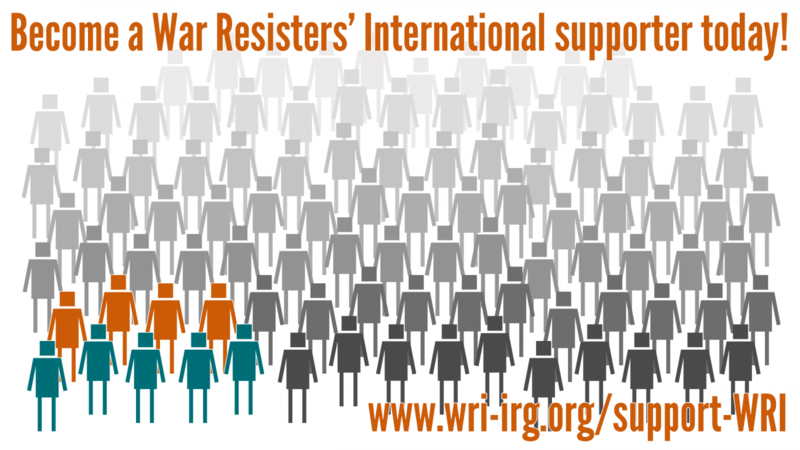 In response, DFG-VK (German Peace Society – United War Resisters), one of WRI's affiliates in Germany, organised nationwide protests against this military PR operation and took actions across many cities where the Bundeswehr organised its open public events. DFG-VK actions included holding banners at military barracks, interrupting exhibitions with mock costumes, and circulating leaflets to inform the public about Bundeswehr's recruitment strategies. You can find photos, videos and more information on the DFG-VK's website here. Armed Forces Day acts as a recruitment tool on two levels: a number of young people are pushed towards signing up to the armed forces, while a much larger number of people are recruited to a military mindset. In response, activists organised various events across the country, protesting against the military promotion during this day and saying 'War is not family entertainment'. Their events included direct actions, vigils, public meetings as well as leafleting and informing the public at sites of military exhibitions. To see a list of events click here. Activists, both in Germany and the UK, said they will continue their protests in the coming years as long as this 'family-friendly' military promotion continues.